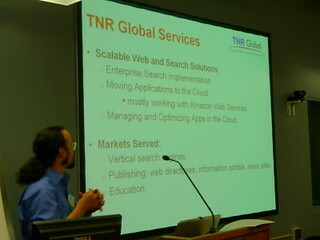 TNR Global was the co-organizer and a sponsor of CloudCamp Western Massachusetts that took place on April 20, 2010, 2:30pm-7pm, at the National Science Foundation funded National Center for Information and Communications Technologies (ICT Center) at Springfield Technical Community College. 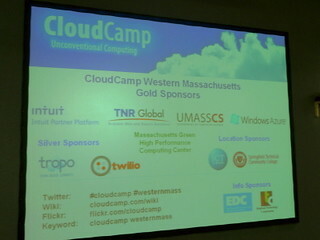 This event was co-organized by CloudCamp co-founder Dave Nielsen and the ICT Center. 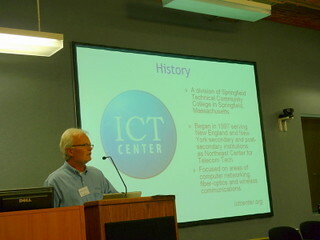 Presentations can be seen here. 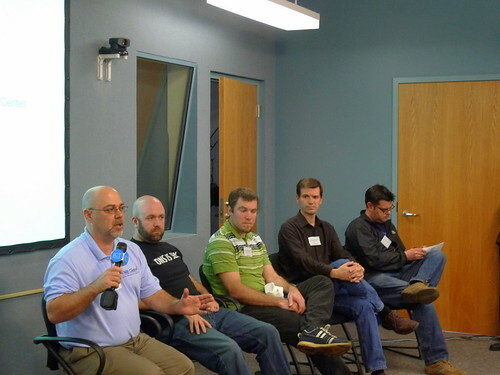 Pictures can be seen here.